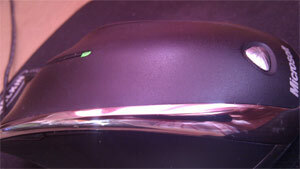 This is a really common problem amongst the Microsoft Laser Mouse series, especially on the 7000 and 8000 series. You put your mouse on its charging station go away only to come back and find that it's got a red light flashing on it and your mouse still has no charge? It's annoying to say the least, especially if you need to do some work and have to spend your time flicking between using the mouse and putting it back on its charger every few moments. My MS Laser Mouse suffered from this problem badly and I tried just about everything I could to fix it, only short of taking the mouse apart. The best success I had involved turning the mouse off, removing the battery, putting the battery back in and wiggling the mouse about when putting it back on the charger. This had about a 50% success rate of getting the mouse to charge for more than 10 minutes at a time. But then I came up with a solution that totally solved the issue, Microsoft mouse won't charge? It will now. The solution involves of all things an elastic rubber band. What I discovered was that there seems to be a dodgy connection when the mouse is put on the charger. It was the jiggling that solved it 50% of the time previously. However if I used an elastic band to secure the mouse and charger I can charge my Microsoft mouse without any problems. I've done it half a dozen times now (all from flat) and I haven't seen a single red light. In fact I tested it again without the rubber band and it failed within a minute. Of all the stupid things to get your mouse charging again but it's definitely worked for me.